According to the U.S. Food and Drug Administration, spinach is free of fat, saturated fat and cholesterol. It's also low in calories, a good source of fiber and magnesium and high in vitamins A & C, iron and folate. Spinach is often used as a base for salads, but is also popular in dips and cooked dishes. Research shows that spinach can help fight cancer. It also helps promote heart health and protects the brain from some of the symptoms of aging. Spinach also contains high amounts of folate, which has been shown to help protect against birth defects. Wrap leafy greens in a damp paper towel and store in the refrigerator to maintain freshness. 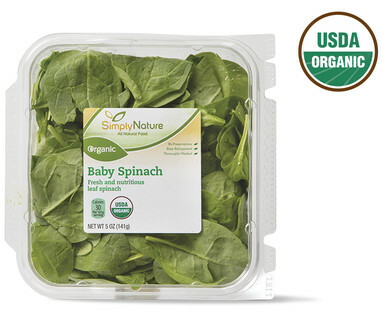 Spinach should be fresh and crisp with no evidence of insect damage.